Anyone Else Watching The Last Ship? Yes, it’s pretty much what you expect Michael Bay’s post-apocalyptic TV show to be (he’s an executive producer). There are as many gunfights and explosions as the budget will allow and idolization of the US military. But it’s still part of my Sunday night viewing. Spoilers if you’re not caught up. One thing I like about The Last Ship is that it changes things up each season. The first season was the search for a cure to the virus that killed most of the world’s population. Instead of trying to stretch that out over another season the scientists on the Nathan James develop a cure and return to what’s left of the United States. The second season was about spreading the cure and securing the US. I have to admit I wasn’t too into the Irish immunes and that whole plot. But the season ends with them defeated and a new President of the United States established in St. Louis, which is now the capitol. And the scientist who developed the cure is shot though we don’t know for sure it’s fatal until the third season. This season, the third, starts with a time jump of several months and several changes. Chandler is no longer captain of the Nathan James. He is now the Chief of Naval Operations and the most senior uniformed officer in the US military (as an old Army guy I’m rolling my eyes hard at that one). His old XO is now commanding the Nathan James and the chief engineer is the new XO. Kara Foster, the officer who was pregnant last season, has given birth and is working as military liaison in the new White House (her baby daddy (he proposed last season but I’m not sure if they actually got married) is still on the Nathan James). The threat this season is from China. There’s some misdirection at first but as soon as we see China’s leader it’s obvious he’s the main villain this season. Chandler heads there and teams up with a former Naval Intelligence operative (who in my head canon is Dottie Underwood’s granddaughter). Chandler still has Kirk Syndrome where he goes into dangerous situations when there’s no good reason for him to personally put himself in danger as a high value target. Meanwhile back in St. Louis there’s plenty of political intrigue going on. Military liaison Foster realizes someone is leaking info to the Chinese but before she can do anything the President’s Chief of Staff implements a coup and takes over. The coup is to minimize federal authority so the regional leaders of the country can run their territories as they want. Given the kind of show this is I expect it will be up to the military to right things. Which may be a problem when Foster is the only main character in the US while Chandler and the Nathan James are in the Formosa Strait (it’s never referred to as the Taiwan Strait) with their own problems. 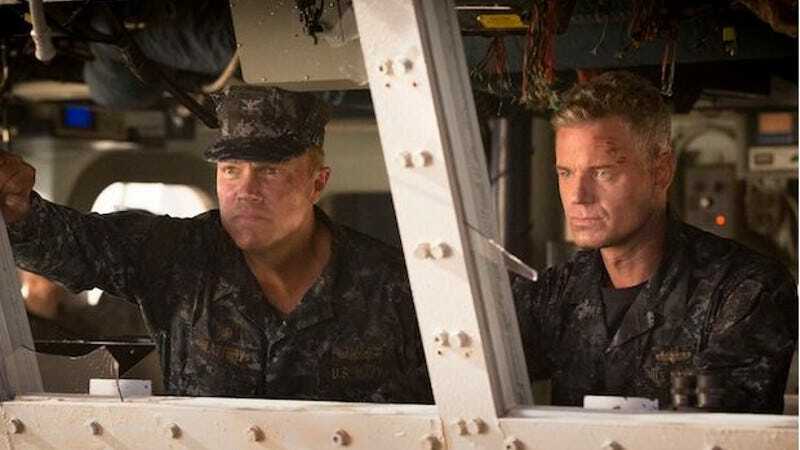 The Last Ship has been renewed for a fourth season so however this this season ends at least we won’t get left hanging if anything is unresolved when this season ends. And this show is still better than Falling Skies.